What is your chance of winning at table tennis? Today the men's table tennis teams will be battling for gold. 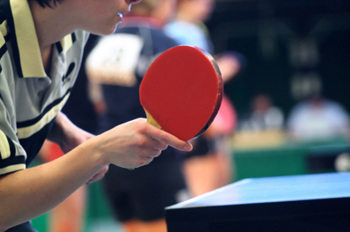 Table tennis first became an Olympic sport in 1988, but changed its scoring system in 2001 to make matches more exciting for spectators. But how do the old and new scoring systems compare in terms of favouring skill versus luck? Find out in our article Ping-Pong is coming home. And while we're on scoring systems, there's a video of a lecture given by John D. Barrow on our sister site Maths and sport: Countdown to the Games, which looks at them in detail.